3 Bedroom Semi Detached House For Sale in Christchurch for Asking Price £339,950. 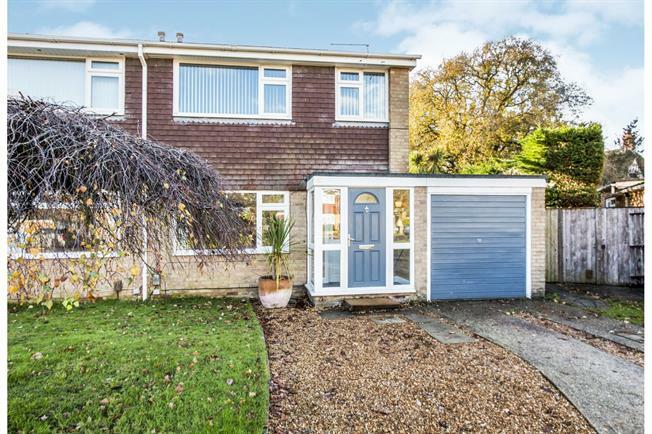 A rare opportunity to buy an extended three bedroom semi on a larger than average plot with rear garden approximately 50' wide x 40' deep and including a large decking area, sauna and hot tub. There is a 26' through lounge/diner with patio doors and an open fireplace, a great kitchen/breakfast room with range style cooker and bi-folding doors onto the decking, three generous bedrooms and a modern bathroom. Also the property benefits from a garage/workshop, gas central heating, uPVC double glazing and there is no onward chain.